Ok we don’t see this to often,,,,,BMW doesn’t make us take the cylinder head off to much,,,,this is a N20 engine,,,,the engine was overheating and also had funny misfire between cylinders 1 and 2 Here’s a closer picture of the cylinder head gasket still on the engine,,,,,look between cylinder. 1 and 2,,,,,you can see a piece of the head gasket missing. 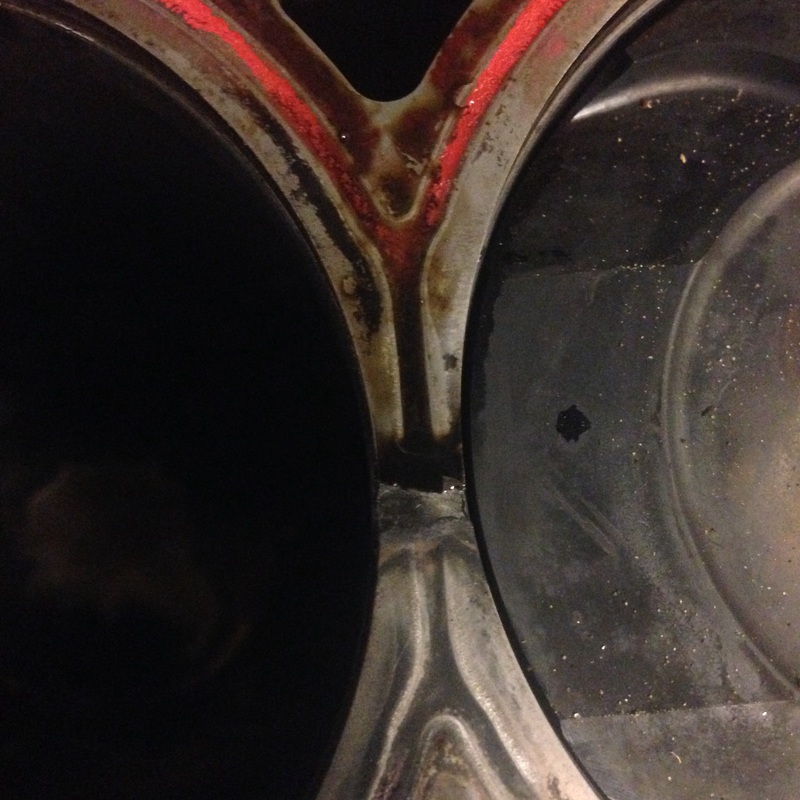 A whole piece of the head gasket is missing,,,,causing the misfire between both cylinders . 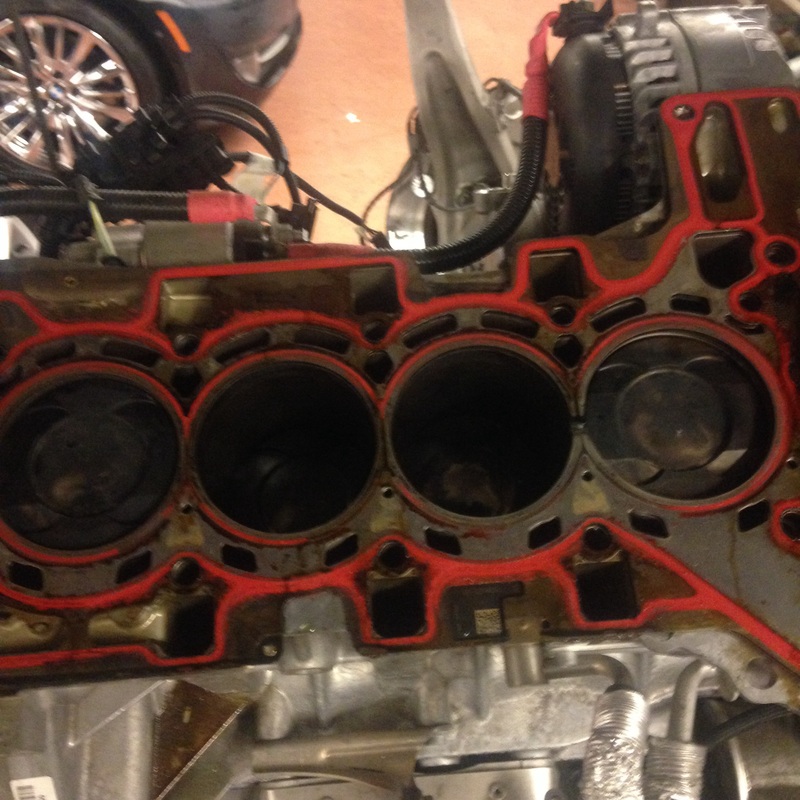 Ok this is a picture with the head gasket removed,,,,this is the top of the engine block,,,,,you can see where the top of the engine block got damaged,,,,it’s amazing how much damage happened,,,,we don’t know what caused this damage,,,,,so BMW wants us to replace the whole engine on this one. 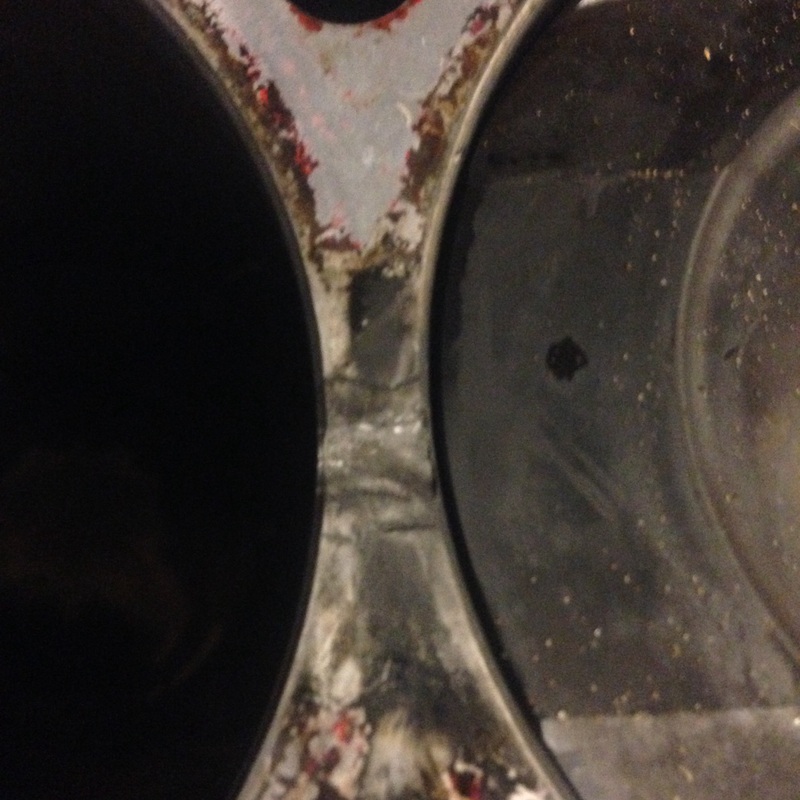 This entry was posted in Uncategorized and tagged damage, head gasket, N20. Bookmark the permalink. My thoughts are, not cast iron and not torqued right. How far off am I? No that’s not it,,,,we have had aluminum blocks for years now,,,,we did get some more info on this car,,,,about a year ago the car had intermix,,,,,,where the coolant and oil were mixing together,,,some N20 had the plastic oil filter housing that would crack and mix the oil and coolant together ,,,,,and that what happened to this car,,,,,we are wondering if the cooling system wasn’t completely cleaned out,,,,causing some cooling issues inside the engine block,,,,BMW is now saying they have seen some other engine with the same problems. I think the space between the cylinders is to small and the engine block is in cause of this on this points to unstable against heat. 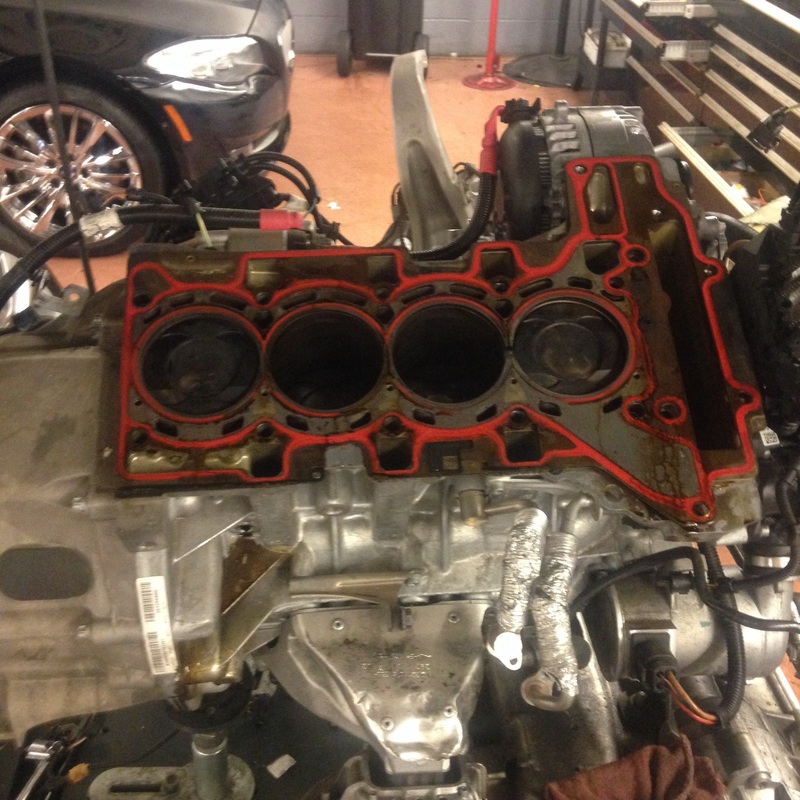 BTW: My N63 Engine from my 650ix was swapped last week against a new one…. No that’s not the issue,,,,we found out today the engine had some intermix going on,,,,where the coolant and oil were mixing due to a plastic oil filter housing that cracked about a year ago,,,,we think the engine wasn’t flushed out good enough causing some cooling problems internally,,,,we just heard from BMW that they are see more of these with the same problem.